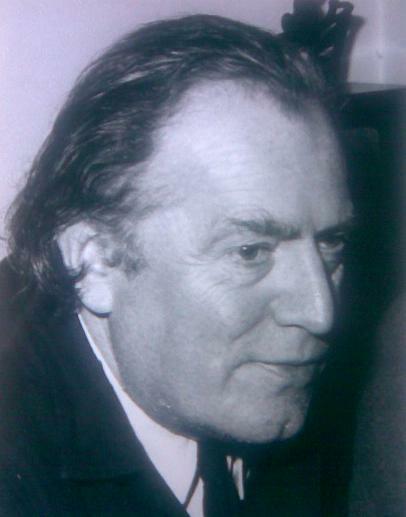 Richard Anthony Sayer Arnell was considered by many as Britain's leading living symphonist. Sadly, hepassed away suddenly, but peacefully, on the afternoon of Friday 10th April, 2009. His works include 6 Symphonies, 6 String Quartets, numerous film scores, ballets and books. He has been and continues to be an educator and mentor to many younger composers and musicians. Listen to extract from 4th Symphony..
His score for 'Punch and the Child' was recorded by Sir Thomas Beecham with the Royal Philharmonic Orchestra and has seldom been out of the catalogue. Beecham once described Arnell as "one of the best orchestraters since Berlioz.."
From 1943-1946, during one of Arnell's American sojourns, he acted as Music Consultant to the BBC’s North American Service. Among the many prestigious commissions Arnell received during these years was one to compose a ‘Ceremonial and Flourish’ for brass to mark the occasion of Sir Winston Churchill’s visit to Columbia University, in 1946. Upon Arnell’s return to England in the 1940s, he became a teacher of composition at Trinity College, London, and he remained a member of staff there until his retirement in the 1980s. Arnell's final years were spent in a Musicians' Benevolent Home in Kent. He passed away on 10th April 2009 at the age of 91.